Coloured oxide is added to the concrete at the batching plant, this ensures that the colour is mixed thoroughly right throughout the concrete for when it arrives on site ready for our placing team to place and finish the concrete. We have access to many different coloured oxides in both powder and liquid form. 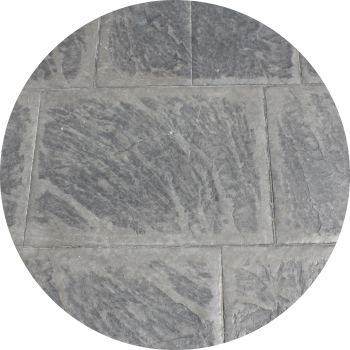 The most popular options are our “Granite Grey” or “Sandstone” colours. The surface of the coloured concrete is given a “sandpaper” finish to achieve a non-slip surface. Several days after the concrete is placed it is sealed with two coats of clear sealer which enhances the coloured concrete and gives it more protection from weathering. Re-sealing should be carried out every 3-5 years. Note – Driveways with a low dose of black oxide may not need to be sealed as the oxide is only added to reduce the glare of the plain concrete. A base colour is added to the concrete at the batching plant, which is then placed and finished by our placing teams. Powdered releaser is applied over the trowelled concrete and then rubber mats are imprinted into the surface of the concrete. Two days later the excess releaser powder is removed and the surface of the concrete is detergent washed and acid etched. 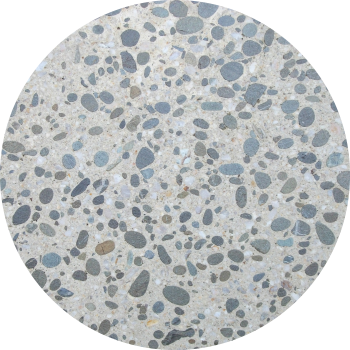 This process reveals the two-tone effect of the concrete surface. Several days later the stamped concrete is sealed with two coats of clear sealer, this enhances the two-tone effect and gives the coloured/stamped surface protection from weathering. Re-sealing should be carried out ever 3-5 years. 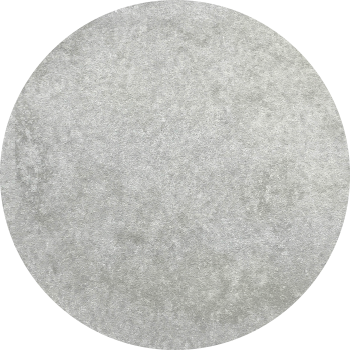 Plain concrete has no oxide added to the mix and it can vary naturally from very white to a mid-grey colour depending on the time it takes to cure the concrete. 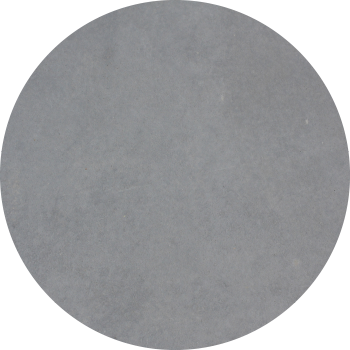 An overcast day will produce a darker coloured concrete than a very sunny day. Critical expansion joints are installed in the concrete on the day of the pour with the rest of the cuts (decorative) being installed two days later. Plain concrete can be sealed or left to naturally cure. If the plain concrete is sealed it will require re-sealing every 3-5 years. 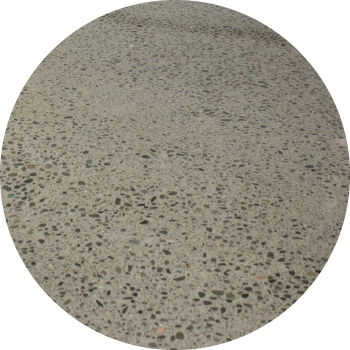 This popular finish is achieved by placing and finishing the concrete as normal then applying a “surface retarder” to the surface of the concrete, this process delays the top 3-5mm of the concrete from setting. The surface slurry is washed off anywhere from 2 hours after placing and finishing the concrete to the next day. The critical expansion joints are installed in the concrete on the day of the pour and the rest of the cuts (decorative) are installed two days later. Acid etching the exposed surface of the concrete removes efflorescence and cleans the surface of the concrete. Several days later the Exposed Aggregate Concrete is then sealed with two coats of clear sealer. 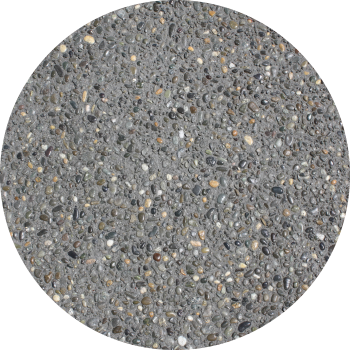 This enhances the Exposed Aggregate finish and protects the surface from weathering. Re-sealing should be carried out every 3-5 years. This usually refers to exterior concrete. The plain or coloured concrete is placed and finished as normal then left to cure and harden. The concrete surface is then ground using a diamond grinding machine which exposes the aggregate in the concrete. The concrete is then “blinded” to fill any air holes. The ground concrete is sealed with two coats of clear sealer, this enhances the ground concrete effect and gives the surface protection from weathering. Re-sealing should be carried out every 3 – 5 years. Paveco specialize in placing concrete floors that are to be “polished” and we are the preferred concrete placer for Perfect Polish in the Ashburton District.